Raw. Vegan. Organic. Superfood. Living food. 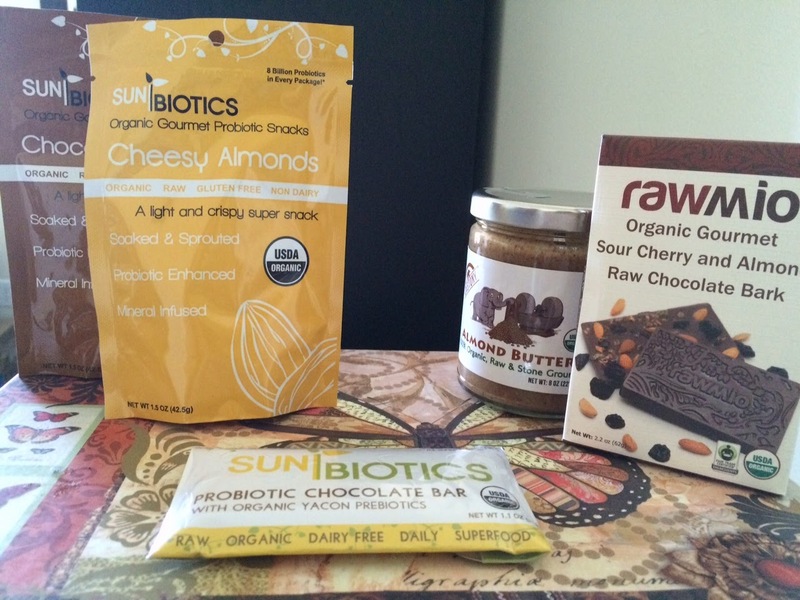 This is what you get from Windy City Organics, the parent company of some of the most amazing raw (er... Rawesome) food brands that I have come across: Dastony, SunBiotics, RawGuru, and Rawmio. 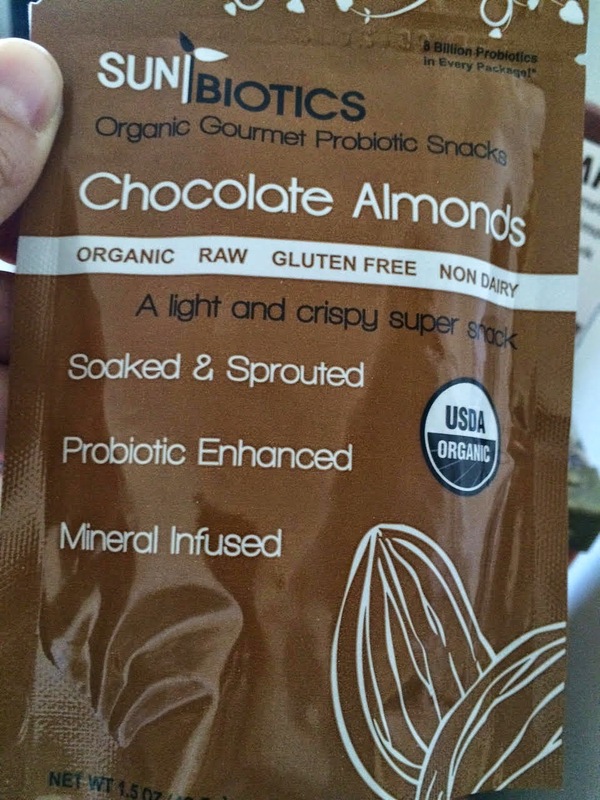 They also work very closely with Sprout Living, one of the leading manufacturers of raw, sprouted, vegan, and organic brown rice and superfood protein powders of the purest nature. Of course, as health conscious individuals, we want to eat fresh foods - never before packaged - straight out of a garden, as often as possible. But the simple fact is that we live in a modern world and not all of us have access to what we need to thrive in our own backyards. We live in a world where we are traveling by cars, planes, trains, buses, trams, subways - and countless other means of transportation. 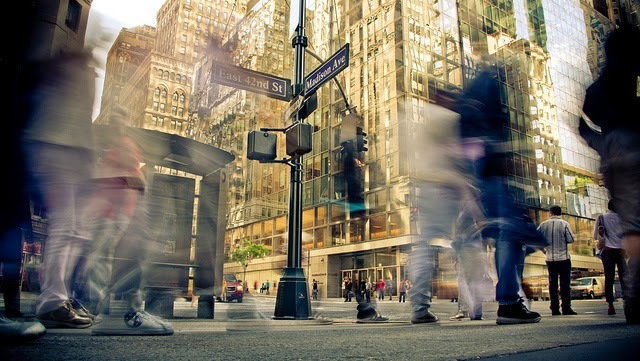 And when we aren't in a vehicle of sorts we are walking, biking, rolling or strolling into our next meeting - bluetooth in ear, coffee in hand, bags and/or babies in the other fighting crowds and desperately trying to keep our energy up. And we have what tucked away for a snack in between meals? 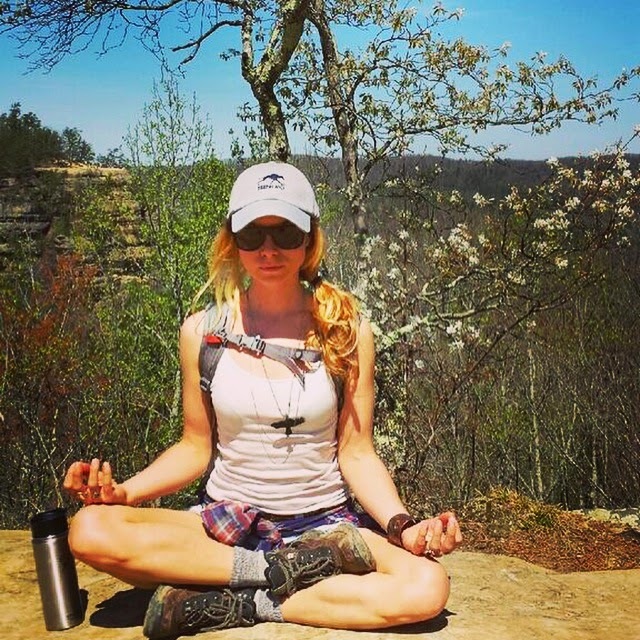 What about those times that we are not in the hustle and bustle but we are on play time enjoying nature with a long hike or backpacking trip or taking it easy with a road trip? 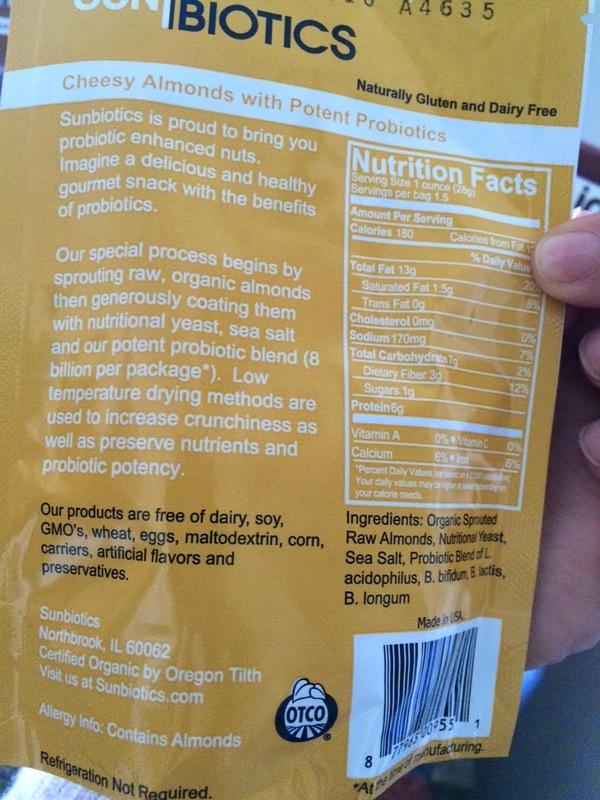 What's in our pack? An apple? A banana? (Hopefully) Protein bars? And what else do we bring to sustain us between or in addition to meals that is nutrient dense? The average protein bar consists of a long list of hard to decipher 'ingredients' like soy and/or whey protein isolate, dextrin, natural and artificial flavors, artificial sweeteners, vegetable oils, gluten (wheat/barley/rye) and genetically modified corn syrup - and even the ingredients that are otherwise healthy like nuts, seeds and coconut are typically highly processed/heated destroying the enzymes and any nutritional properties - leaving them nutrient void and you unsatisfied. These bars will likely lead to a host of residual effects such as gas, bloating, lethargy and will leave you with hunger pangs shortly after. You can read my more about my thoughts on food additives, preservatives and other dangerous ingredients here. I strive to consume fresh foods, that do not come in a package, 95% of the time. This is generally very doable for me given my lifestyle. I go to the market and fill my cart with produce - and that is the majority of my diet. 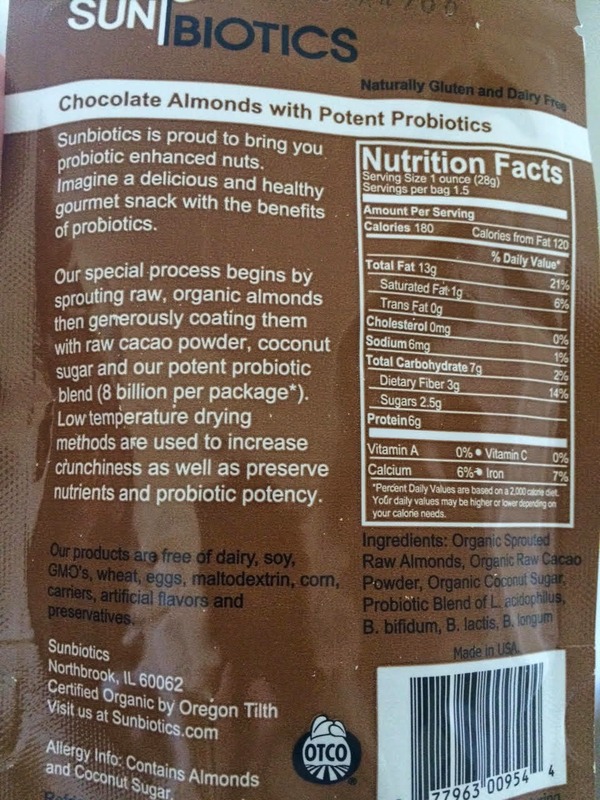 I also incorporate healthy fats and proteins with raw superfood like seeds, nuts, cacao, coconut and concentrated dried or dehydrated fruits like goji berries, cherries and dates. 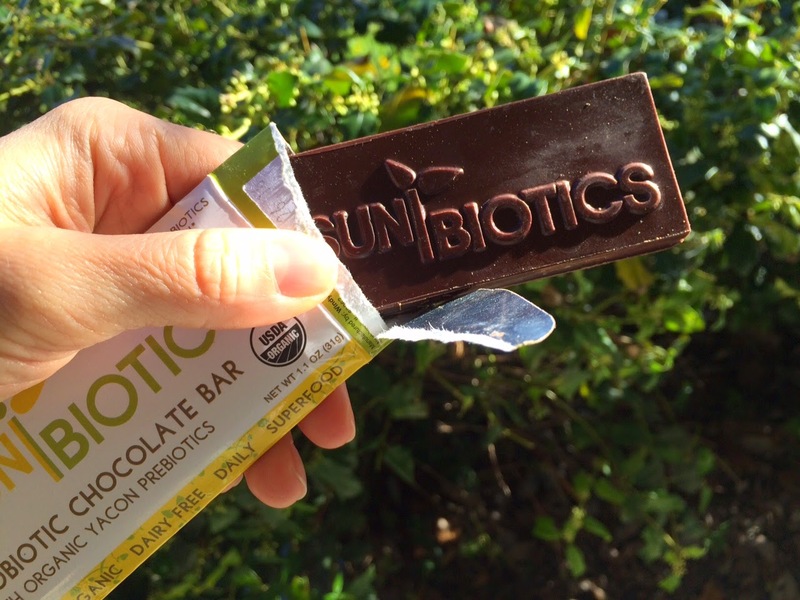 I started with the Sunbiotics Probiotic Chocolate bar and Chocolate Almonds (soaked & sprouted) whilst sitting outside in the sun reading Stacy Stowers', "Eat Raw, Not Cooked." I enjoyed this bar after a hike on a beautiful warm and sunny day. 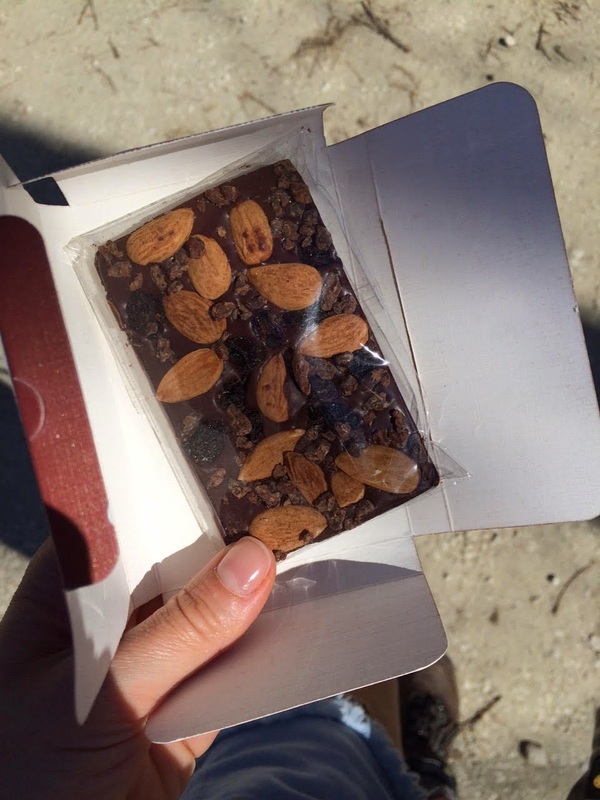 I cannot even begin to describe to you how tasty this treat was after my hike. That day I was totally fueled by whole fresh fruit and after the hike needed some fat and protein for an added boost. 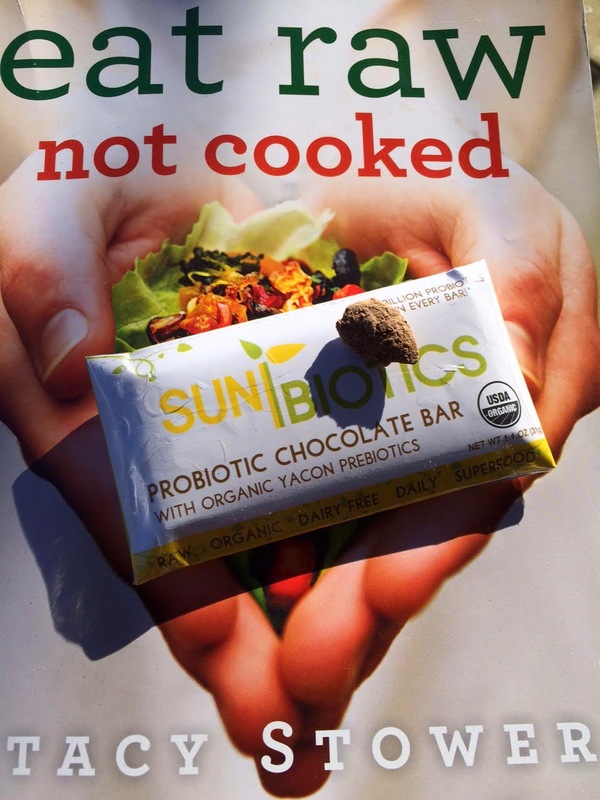 I had this bar, my vegan (SunWarrior) shake and some coconut water. This was at a pizza pitstop located just down the way from the trail head - I was thoroughly satisfied and nourished with my post-hike snack. Rawmio for life! "Dastony uses an ancient method known as stone-grinding in the production of its products. Originally used for turning olives into luscious and delicious olive oil, stone-grinding applies pressure with powerful, perfectly smooth granite wheels. Although "old world" in its approach, it is revolutionary in terms of preserving nutrients and flavor. This natural preservation is accomplished by maintaing a consistently low temperature throughout the entire process. Another unmatched result of stone-grinding is a silky smooth texture and mouth feel that is truly beyond words. Only the finest selection of raw and organic ingredients are used in our Dastony Stone-Ground Nut and Seed Butters. Every batch is handcrafted and meticulously cared for during a process which takes 24-48 hours. The time and attention seems excessive but is well worth the results. 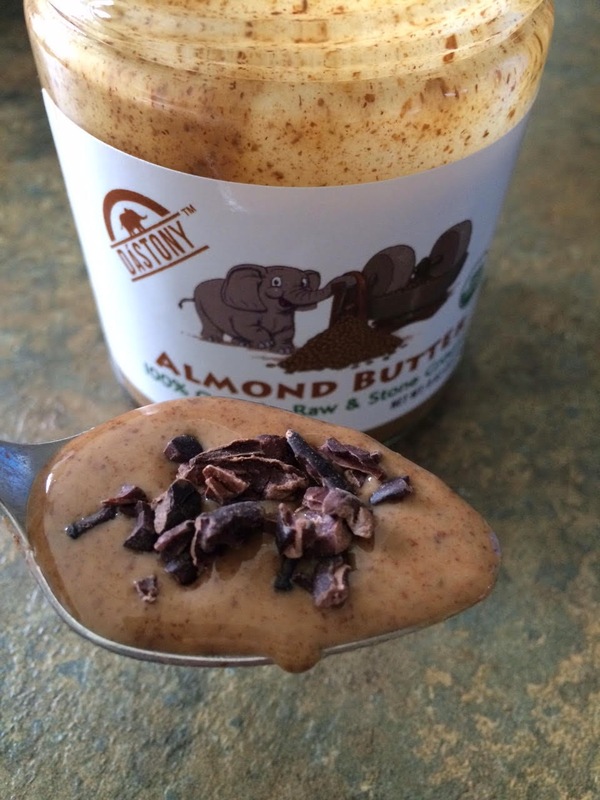 A gourmet and silky smooth nut/seed butter that still maintains all of its nutritional integrity is something we at Dastony take great pride in." 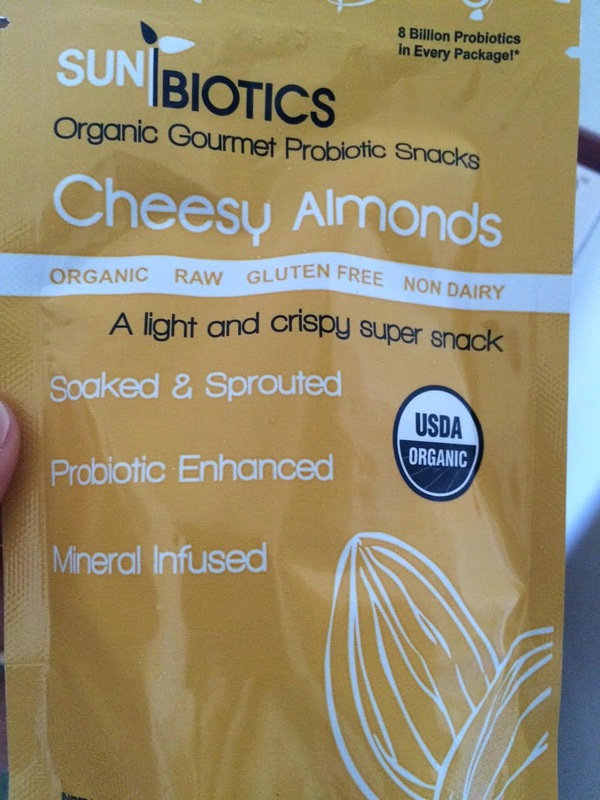 And lastly, I tried out Sunbiots' Cheesy Almonds over a salad. All raw. All nutrient dense. All life-giving ingredients. 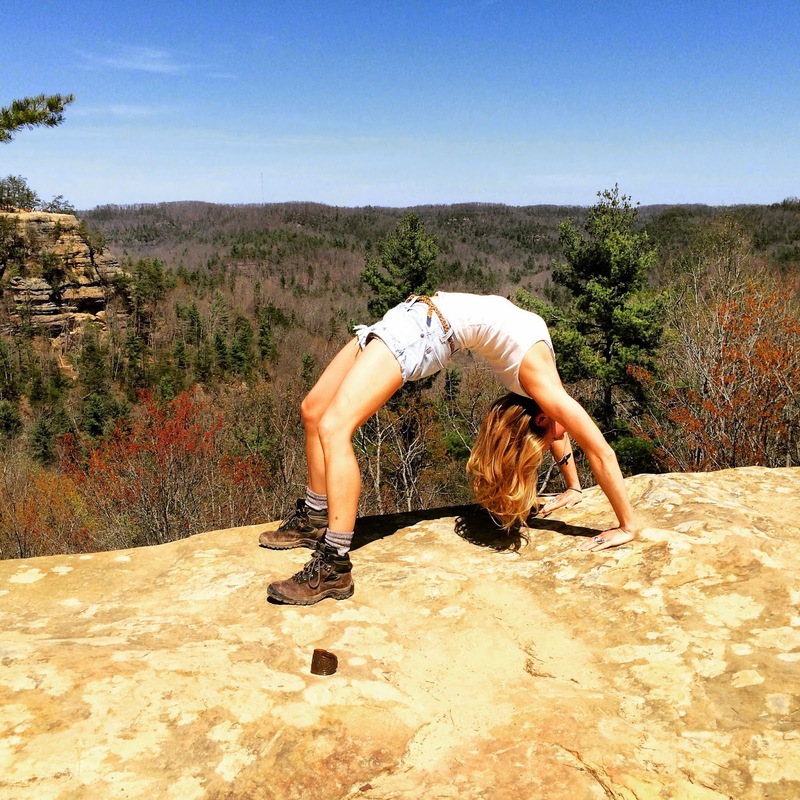 Raw food gives me the energy to hike with ease and do Setu Bandha Sarvangasana (Bridge Pose) over Natural Bridge. 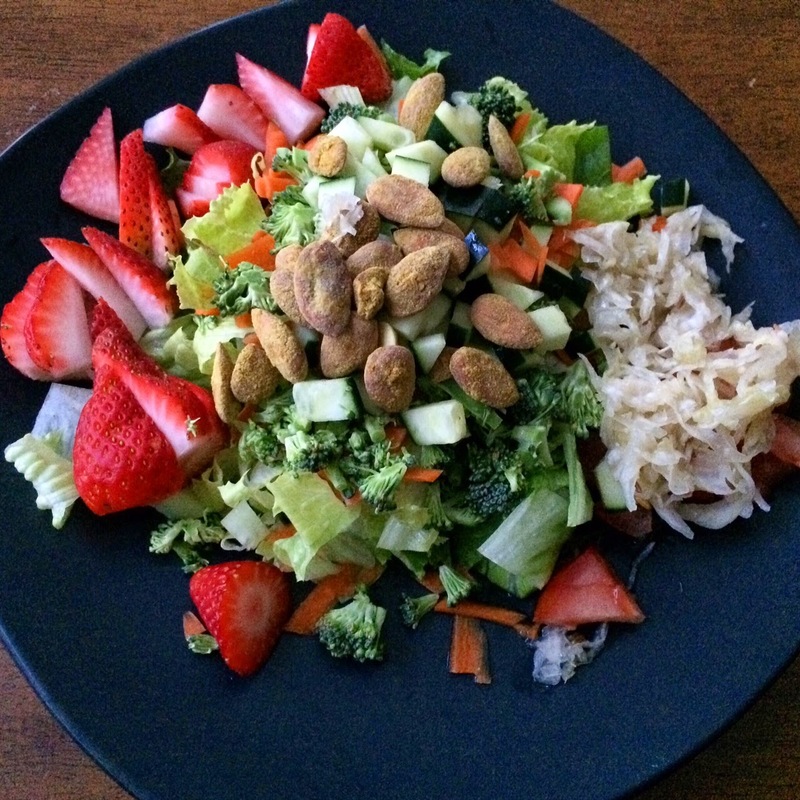 Raw food is essential to my inner peace and vitality. What does Raw do for you? All of these products can be found online at the specific brand's website listed above, wholesale at Windy City Organics, or at RawGuru, on online retailer for all things raw. 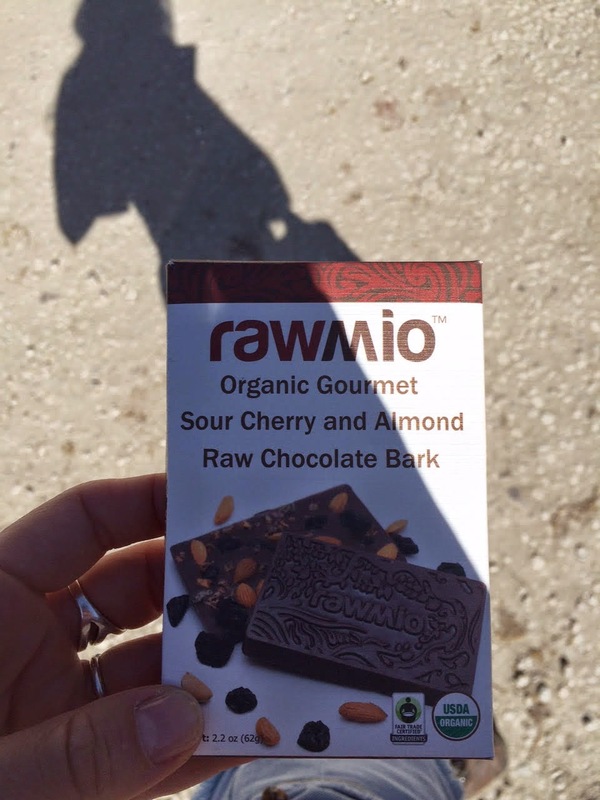 "RawGuru is an ever-expanding line of hand-chosen, raw and organic bulk ingredients and products such as culinary herbs and spices, raw and sprouted nuts and seeds, superfoods, butters, oils, snacks and more." 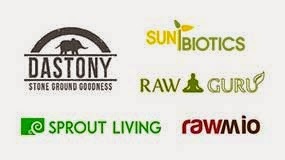 From raw organic foods, raw food books, kitchen equipment & tools to beauty care, RawGuru provides a vast array of products that help to make living a raw food lifestyle in the modern world easier.